No missing skills (using All V). 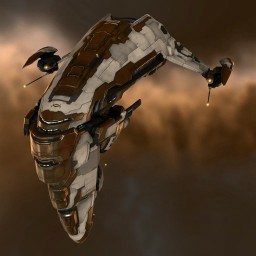 This loadout was made for an older EVE version (Rubicon 1.4) and may no longer be applicable to the current EVE version (Citadel 1.0). This loadout has zero comments. You have to sign in to comment on this loadout. Export to CLF (Common Loadout Format): recommended for archival and for usage with other programs. Export to minified CLF: stripped down version of the above. Not human-readable. Export to Markdown+gzCLF: a Markdown-formatted description of the loadout, with embedded CLF for programs. Export to XML+gzCLF: recommended when importing in the game client. This loadout can be viewed by anyone. This loadout can be edited by its owner only. This loadout is public. It will appear in search results of people that can view the loadout. ⚑ Report this loadout: this loadout requires moderator attention.